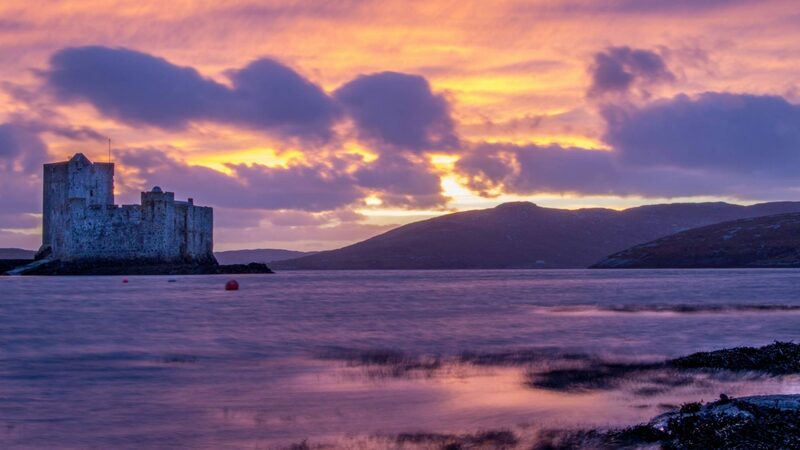 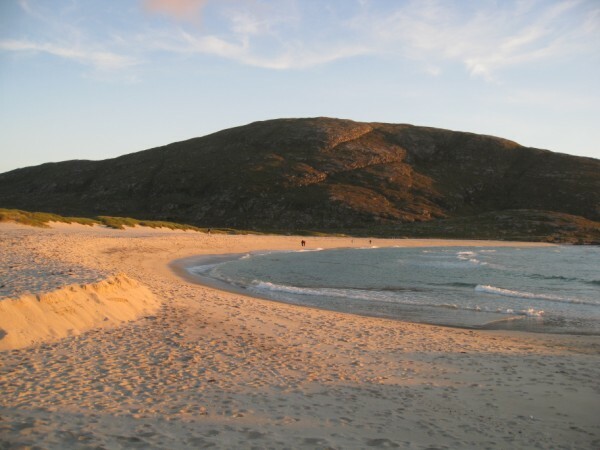 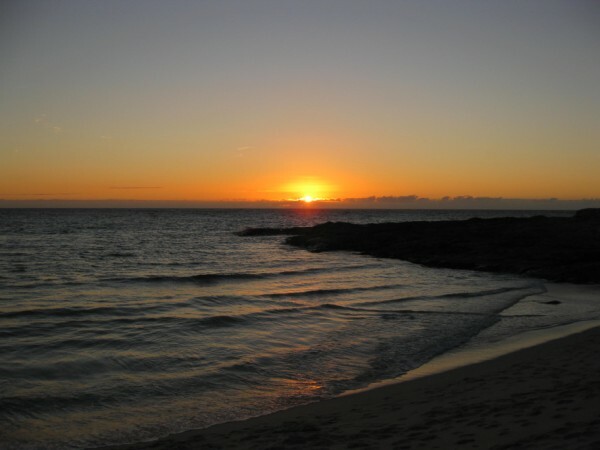 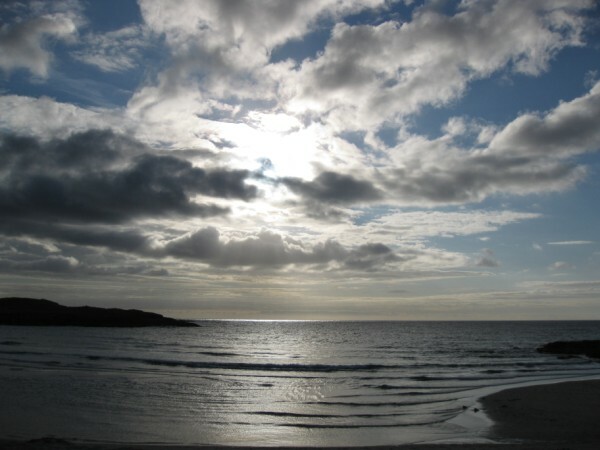 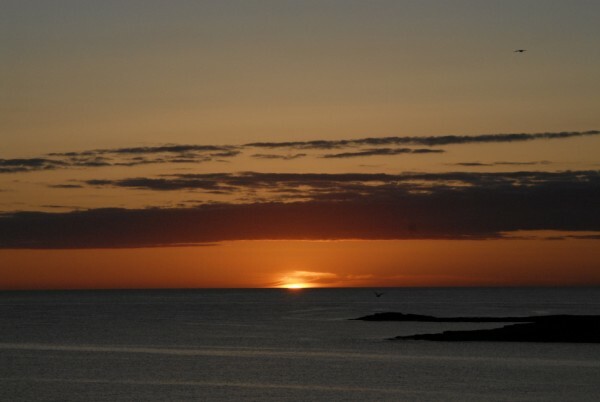 Barra has many fine beaches – ranging from Mingulay Bay in the south to Traigh Scurrival in the north. 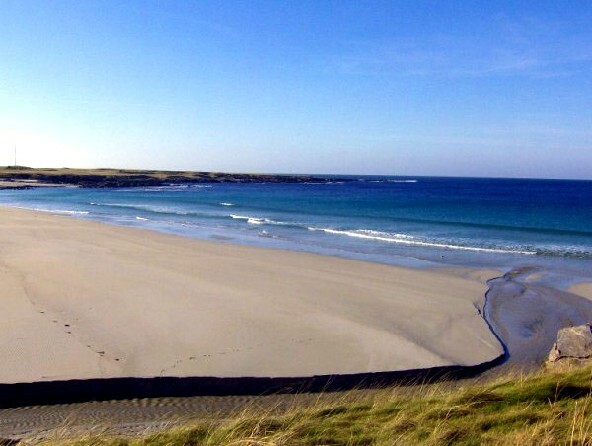 They are never crowded, indeed you will usually have them to yourself. 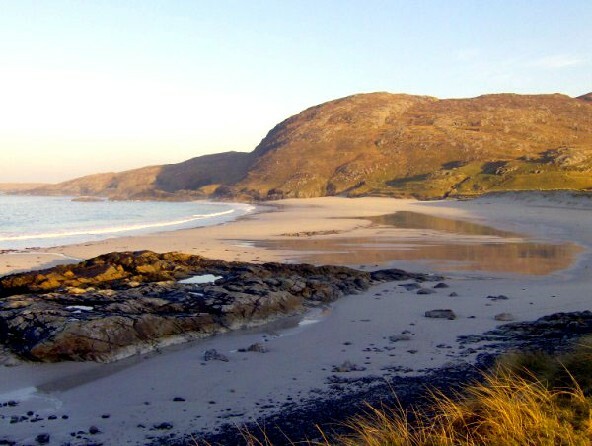 The beautiful island of Vatersay, attached to Barra by a causeway, has many fine beaches for such a small island; there are 3 on the peninsula which faces Castlebay and the hotel; and there are 3 larger beaches further south on Vatersay, facing east, west and south, so you can almost always find a beach facing away from the wind if you wish! 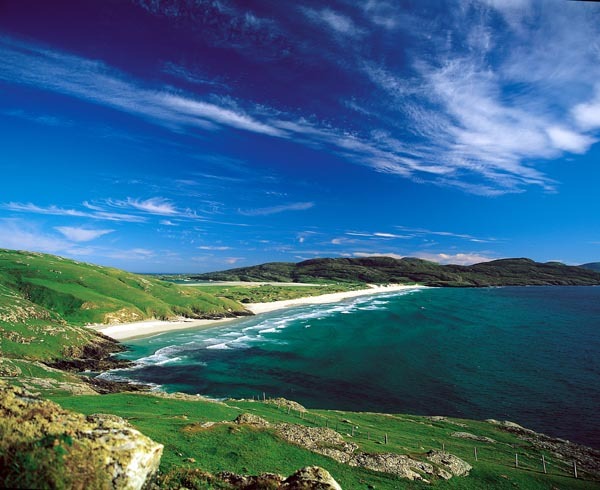 Although there are no high cliffs on Barra itself, much of the coastline is quite rugged.